a quick red fox: na.no.wri.mo. As all writers today surely know, November is also known as NaNoWriMo (National Novel Writing Month). It is the one month each year when novelists—whether amateur or professional, published or unpublished—join together and support one another in the quest to write a novel in the month of November. The official goal is 50,000 words in a month (or 1,667 words per day). The novel doesn't have to be complete when you're finished (and likely, it won't be). It doesn't have to be polished or perfect or even a traditional novel (you could write short stories, two novellas, etc). You don't have to start with a blank page (you can continue a work-in-progress) and you're encouraged to make notes and outlines beforehand. Basically, NaNoWriMo is made very loose in its requirements so that writers are free to write whatever they like. The point of the month-long challenge is that you have a set goal and a community to help you along the way. Plus, if you use the website, you'll get encouraging e-mails and can track your progress along the way. But you probably already knew all that, right? Anyway, I've never tried to complete NaNoWriMo before and this year is no different. I am not trying to write 50,000 words of fiction this month. However, I am trying to write 30,000. Maybe I'm just being a wimp, but 50,000 words scares me. And I think if I shot for 1,6667 words every day for the month of November (a month which includes a major holiday, mind you! ), I wouldn't succeed and I would feel awful if I didn't make it close. With Thanksgiving, Black Friday, and a weekend visit with a friend, I just can't imagine writing 1,667 every single day. I'd drive myself crazy. Plus, that's just an awful number, isn't it? 1,667? It's an odd number. It isn't a clean, clear finish line to shoot for. It ends in a 7, which everyone knows is a bad number (or maybe that's just me—surely I'm not the only one with strong but completely nonsensical opinions about numbers?). So instead, I'm going for 1,000 words a day. Besides being a more agreeable number to work with, it feels very do-able while still being a challenge. And I am fully confident I can make it to 30,000 by December 1st. So far, I'm right on schedule. And hey, maybe next year I'll be able to amp it up and go for the true 50,000 words. 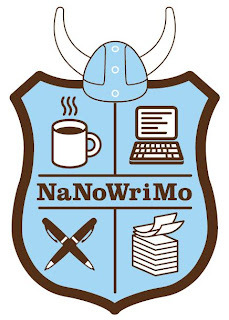 Any other NaNoWriMo'ers out there? Is this your first time trying (and if not, what's the farthest you've made it)? Have any tips for a first timer? Mostly, I just want to say good luck! Write, write, write! My regular writing goal is 2,000 a day so in Nanowrimo terms, I actually get some lee-way to NOT write every day :) I try, but life's hard. It just is. That's fantastic! 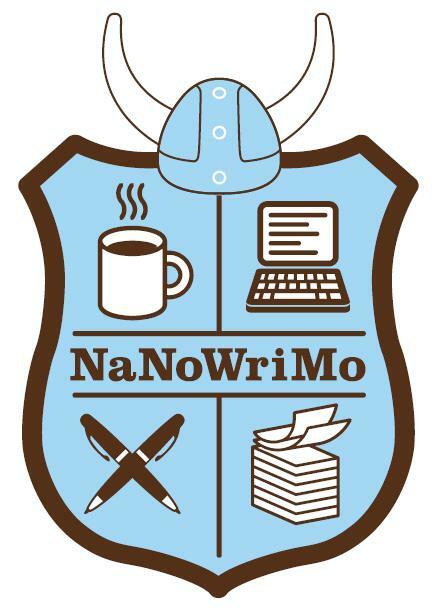 No wonder you're so far in your novel :) You're the first writer I've heard call NaNoWriMo a break. Can I ask, is most of what you write in those 2,000 words a day usable or do you spend a large amount of time later editing? Of course most writers spend a lot of time editing, but . . . hopefully you get the idea! Haha well I'm technically behind on Nano right now...Mmm for this novel...I think most of it is usable...because the novel is told over a year from three different viewpoints, I think most of the unusable bits will come from sections that lag and drag down the pace of the plot...also I think it had more to do with me having a bad day and just sucking at writing...I try and push myself to write when I don't feel particularly inspired so sometimes the writing is just dull and saggy...but at least it's get done! I think your goal is great! Are you going to continue your WIP or start something new? Danielle has done NaNoWriMo for a few years now--although I can't remember if she's met the goal. It always sounds like fun.